In response to requests from the Mini Cooper S community, CAI has developed and released a new Electronic version of the classic Speedometer. Maintaining the style and look of a classic Mini Cooper S Speedometer, whilst modernising the operating mode, were primary design criteria for the CAI engineering team. The new Speedometer is mounted in a solid waterproof (IP67) billet case. The design is far more robust than the tin-cased original and has a higher quality specification. The Speedometer has an OLED panel for odo or trip readout and onboard "drive-to-set" programming. The Speedometer is marked to 130 MPH and is geared for the 3.44 final drive. At the bottom of the new Speedometer is the Fuel Gauge. This is programmable for different sender characteristics and features LED warning lights. The Speedometer is available with both a Magnolia and Black face, with dials to suit. 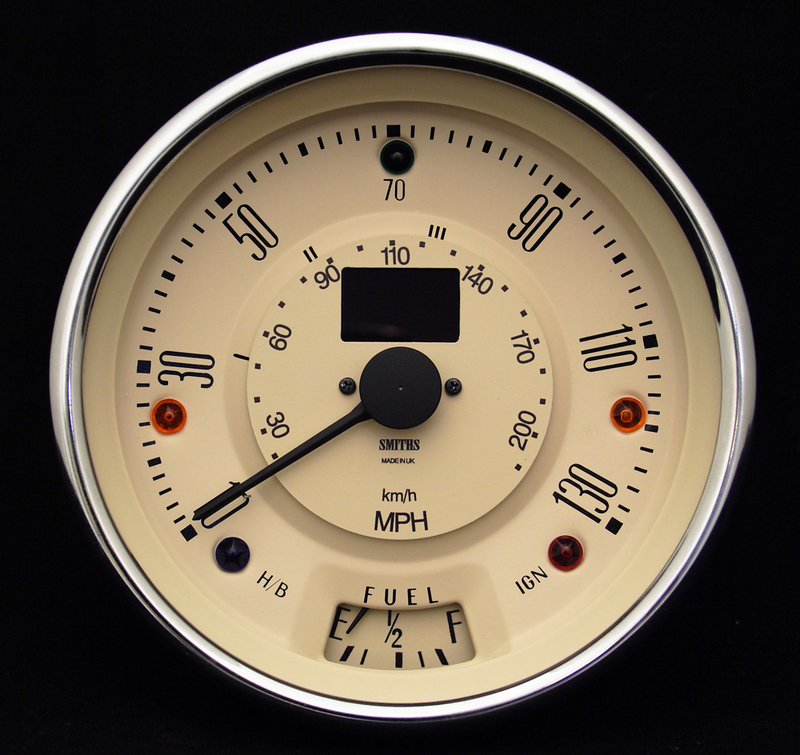 CAI manufacture a range of gauges with the John Cooper signature including the Oil Pressure Gauge and the ivory faced Clock. 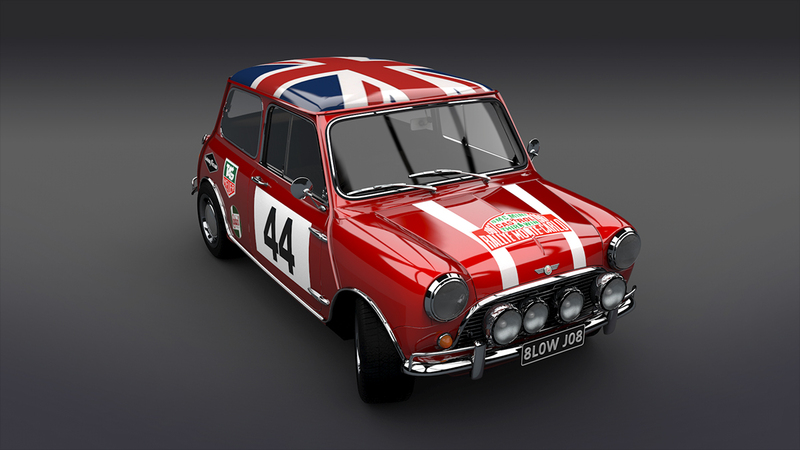 They are available through our authorised distributors, Minisport and John Cooper Garages.